Top Sonoma County climb out of the vineyards of the beautiful Alexander Valley. 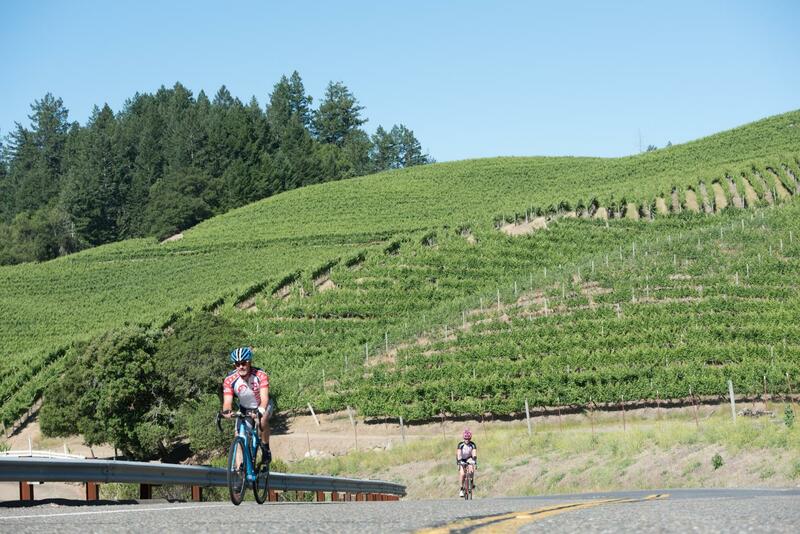 This is the fourth highest Fiets Index ranked climb in the Sonoma-Napa-Lake area and offers spectacular views of the Alexander Valley, one of the premier vineyard regions in the world. The climb, with a couple of exceptions, has a fairly even, albeit steep, 6-8% grade throughout. The descent of the Geysers is one of the most exciting in the county. During the summer, the temperatures can approach and exceed 100 degrees, so beware of the weather. Supplies: Geyserville and/or the Jimtown Store have any supplies you would need for this climb. Roadway surface/Traffic: The roadway is in fairly good condition, other than 2 brief stretches of gravel just beyond the 3 mile mark. Traffic is very light and the road is wide and often has a bike lane. This is one of the safer climbs you will find.